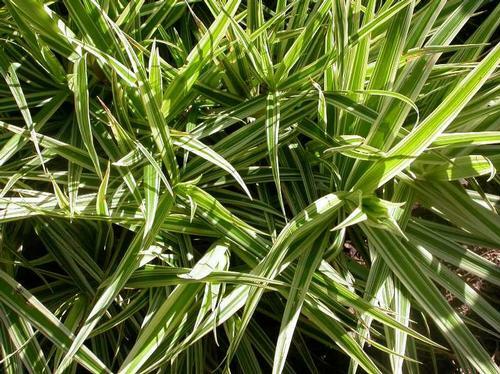 Known by the common name palm sedge due to the crown resembling a dwarf palm tree, this variegated cultivar has leaves with a green center and broad white outer margins. Forms a nice clump that looks like a miniature palm forest. Eye-catching. Fast growing. Brings a nice bright focal point to a shady spot.